The onset of presbyopia can be frustrating if you wear contact lenses and want to continue seeing clearly up close without reading glasses . One solution is to have your eye care practitioner perform a monovision contact lens fitting. Monovision with contacts can reduce your need for "readers" and is an especially good option if you are not a good candidate for bifocal contacts. With monovision, you wear a contact lens on one eye to correct your distance vision and a contact lens on your other eye to correct your near vision. The lens for distance vision is usually worn on your dominant eye. With monovision, the eye that sees well for distance vision will be slightly blurred up close and the eye that sees well up close will be slightly blurred when looking at distant objects. But with both eyes open, typically the result is acceptably clear and comfortable vision at all distances. Therefore, the term "monovision" is somewhat misleading. The two eyes still work together as a team so you can see clearly at all distances; it's just that one eye sees more clearly than the other at a certain distance, and the "stronger eye" will depend on whether you are looking at something far away or up close. Though monovision might sound difficult to adjust to, most people adapt to it easily and don't even notice which eye is their "distance eye" and which is their "near eye" when both eyes are open. Mini-monovision In this variation, a less-than-typical magnifying power is added to the near vision lens. Mini-monovision often is an excellent solution for people who find that standard monovision does not give them the sharp distance vision they desire, and they don't need to do a lot of close-up work (or they don't mind wearing reading glasses on occasion). A good example is someone who spends much of their day driving and little time working on a computer or reading, but wants to be able to read a menu without prescription glasses. Though a person with mini-monovision may need to use reading glasses more frequently than someone who has standard monovision, he or she will be less dependent on readers than a person wearing regular (distance) contact lenses in both eyes. Modified monovision In this variation, a single vision contact lens is worn on the distance eye and a bifocal contact lens is worn on the near eye. Modified monovision, like mini-monovision, can provide sharper distance vision than standard monovision, while still providing acceptable near vision without reading glasses for many close-up tasks. The distance power of the bifocal lens also can be adjusted to provide sharper vision at arm's length for tasks such as computer work. The downside of monovision is that some people find it compromises the clarity of their distance vision too much, making distant objects appear slightly blurred. Others find monovision doesn't provide adequate near vision to give them the freedom from reading glasses they were hoping for. is slightly compromised, which can cause a slight decrease in depth perception. In standard monovision and mini-monovision, conventional single vision contact lenses — including disposable contact lenses — are used. Because these are less expensive than multifocal contacts, lens replacements will cost less. Even modified monovision will save you money on lens replacements, since a bifocal contact lens is worn only on the near eye. But fitting monovision contact lenses is more complex and generally takes more office visits than a regular contact lens fitting. This is because even slight changes to the contact lens power on either eye in monovision can make a significant difference in the wearer's visual satisfaction, and each modification of lens power should be followed by several days of lens wear to see how you adapt to the change. Therefore, the fitting fee for monovision usually is higher than the fee for a standard contact lens fitting. Many eye care professionals charge the same for monovision contact lens fittings as they do for bifocal contact lens fittings, which could be twice the fee for a standard contact lens fitting or even more. Monovision also can be accomplished with surgery for presbyopia, including LASIK, conductive keratoplasty (CK) and other corneal or lens-based refractive surgeries adapted for presbyopia correction. Prior to any surgical monovision correction, it's smart to "test-drive" the concept with contact lenses beforehand. 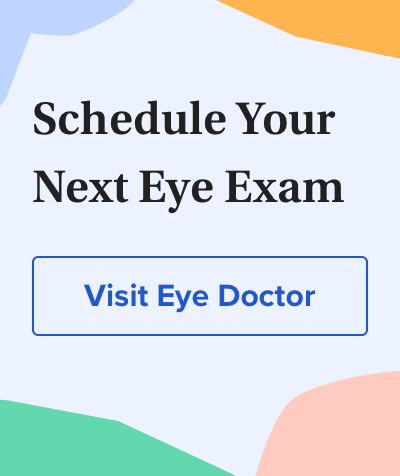 Generally, a two-week period of wearing monovision contact lenses will give you a good idea of how well you will do with permanent surgical monovision. For more information about the pros and cons of monovision versus bifocal contact lenses for your particular visual needs, see your eye doctor for a consultation and possible trial fitting.